Fighting for you and your children. Talk to a divorce attorney today! 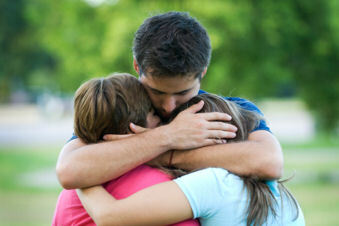 Kirkland divorce attorneys that you can trust and who will fight to protect your legal rights. Get the personal attention that your family law case deserves. If you or someone you care about is facing a difficult divorce or family law situation, it's important to understand your legal rights. Few things in life are as disrupting and chaotic as going through a divorce or facing a family law crisis. It's often a truly life-changing event that has complicated ramifications for years to come. This is never more true than when children are involved, or if you have been married for a number of years. No one walks down the aisle with the expectation that their marriage will end up in divorce court. But, life and marriage often become complicated. As a result, people grow apart, their perspectives on life changes, and, for a myriad of other reasons, spouses realize that they are no longer compatible. When this happens it's important to have an experienced divorce attorney in your corner. We're here to help you through this difficult and complex process. We are Washington State divorce attorneys. We understand what your divorce or family law case means to you personally. We are passionate about our clients. And, we are passionate about our work. We serve family law clients throughout the Greater Puget Sound region. Our lawyers have decades of combined divorce and family law experience. When you retain the Law Offices of Jason S. Newcombe, you are retaining a dedicated team of family law professionals who are committed to you and your case. Our divorce family law attorneys have over 40 years of combined legal experience handling difficult divorce matters. If there is one thing that we have learned collectively, it's that every case is unique and requires personal attention. If you have questions about your King County divorce, we encourage you to give us a call and take advantage of our free initial consultation and case evaluation. Regardless of which direction you decide to go, it's important to fully understand all of your options and your legal rights. Talk to a lawyer with the resources and the experience to properly handle your case from day one. Talk to Kirkland family law attorney now! From our Bellevue offices, we serve clients in all neighboring communities throughout Eastern King County, WA. The majority of our Eastside clients file their divorce or family law case in downtown Seattle at the King County Courthouse. King County has two Superior Court locations that handle divorce and family law cases. The second King County Superior Courthouse is located in Kent. It's the Norm Maleng Regional Justice Center. The King County Courthouse is located at Third and James near Pioneer Square. The Regional Justice Center is located on Fourth Avenue North near the ShowWare Center. After discussing your divorce or family law case, we will help you to understand where your case will be filed and heard. In general, the jurisdictional dividing line between your case being heard in the King County Courthouse in Seattle and the Regional Justice Center in Kent is I-90. Many Washington State divorce and King County family law forms are available online. It's important to understand, however, that these forms are not a substitute for seeking legal counsel. We have designed this website provide an abundance of information regarding our legal services. We also want to provide people seeking information with links to sites that they might find helpful. This website is for informational purposes only. This is actually a link to a PDF file that was created by our courts. It provides a lot of extremely useful information about divorce in Washington State. This Family Law Handbook provides a great general overview of many of the most important issues that come up in frequently in divorce cases. This site provides some useful information about the King County Superior Court located in down town Seattle. This page also provides links to a number of other pages that you might find useful. This link takes you directly to the King County Courts page providing access to court forms. From here, you choose your language and then link to a page that provides a huge amount of information about how to file various forms in King County. It also includes links to many of the necessary forms, which are embedded in the instructions. This page on Family Law Instruction is extremely help and provides a ton of valuable information. What will happen to my case after it is filed? Most issues and motions in Washington State divorce and family law cases are heard by a Commissioner. This is true even though your case is assigned a trial judge immediately. After filing your King County case, a trial judge is automatically assigned to your case, and your trial is actually immediately scheduled approximately eleven months out from the date that you file your Petition for Divorce. 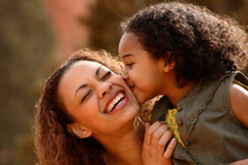 Many divorce and family law cases are resolved without the time and expense of going tot trial. 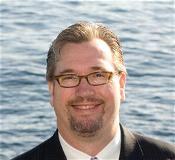 Experienced Washington State family law lawyers who know the law and the King County divorce courts. Our Kirkland divorce and family law attorneys are experienced and dedicated advocates who will fight to protect your legal rights. If you are looking for a Kirkland divorce lawyer, we encourage you to call our offices for a free no-obligation case evaluation. We believe that more information is always better. Our attorneys are forceful and pragmatic negotiators who understand which issues should be litigated and which issues are better resolved at the bargaining table. For many of our clients, having to go through a Kirkland divorce is one of the most difficult and stressful life events that they will ever face. Often, during the initial stages of the proceedings, our client's lives are turned completely upside down. The life that they have known, sometimes for decades, is suddenly imploding. The daily routines that had provided a measure of stability and daily interactions is suddenly thrust into chaos. We're here to help. 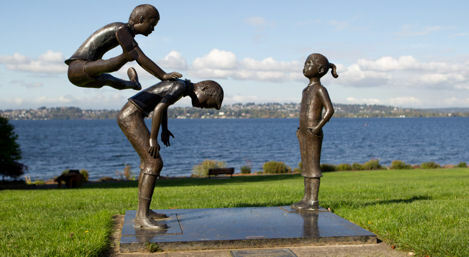 We are Kirkland divorce attorneys and WA State family law lawyers serving the entire Eastside and all of King County. Questions about your Kirkland divorce? Talk to Kirkland lawyer today. We provide helpful information and legal advice on how your case will be interpreted through Washington divorce law. Family law help and information. We have two King County divorce and family law offices. One is located in Downtown Bellevue and the other is located in downtown Seattle. The Law Offices of Jason S. Newcombe serves divorce and family law clients in Kirkland, Bellevue, Redmond, Woodinville, and Sammamish. We offera free initial consultation and case evaluation, and affordable payment plans.